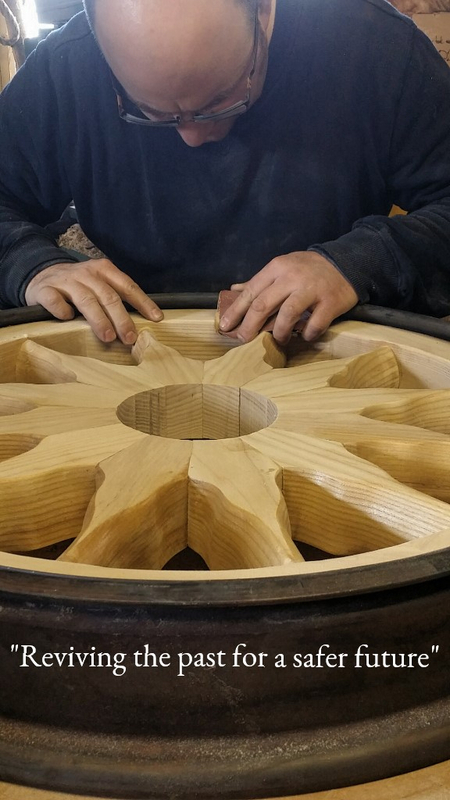 Its no every day that as a wheelwright we are asked to repair bicycle wheels. But thanks to one man, who, in my mind is slightly crazy, has given us the opportunity to repair an original late 18th century bicycle. 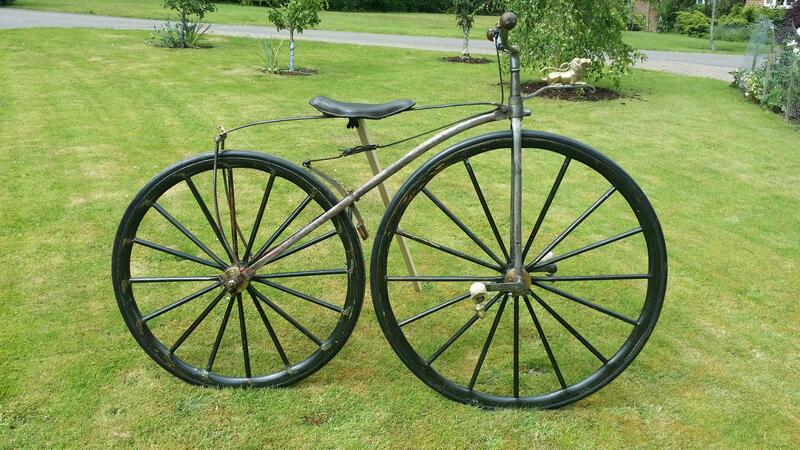 These bikes (velocipede) are more commonly known as "bone shakers", and they do exactly that. They have solid rubber tyres and the ride is very hard, due to the pedals being mounted on the front hub you are unable to stand up on it either. On the 8th August 2015 Stuart Mason-Elliott is was one of 7 men taking part in a charity ride from Paris to the outskirts of Avignon which is a mere 500 miles. Now this would be hard enough on a modern bike, but they are all did it on bone shakers. The ride was is in aid of charity and commemorated the first ever long distance bike ride in history. The 500 mile were completed in 8 days.